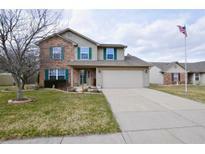 Below you can view all the homes for sale in the Winding Creek subdivision located in Brownsburg Indiana. 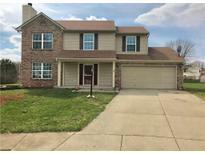 Listings in Winding Creek are updated daily from data we receive from the Indianapolis multiple listing service. To learn more about any of these homes or to receive custom notifications when a new property is listed for sale in Winding Creek, give us a call at 317-987-2530. Just minutes from everything Brownsburg has to offer, and easy access to I-74! Professional photos coming Monday. MLS#21632758. Keller Williams Indy Metro W.
Enjoy the warmer nights after a long day on your back deck that over looks a nice size back yard. MLS#21622566. Wall and Associates. If you're looking for a fabulous house in an great area, this is it! MLS#21627850. RE/MAX Centerstone.